UPDATED Dec. 2, 2018, 12:51 p.m.: The tallest tower in Southeast Asia is embroiled in a high stakes game of hide-and-seek. The state fund that financed the 1,614-foot tower is missing about $750 million prompting an investigation by the Malaysia government, according to the Wall Street Journal. 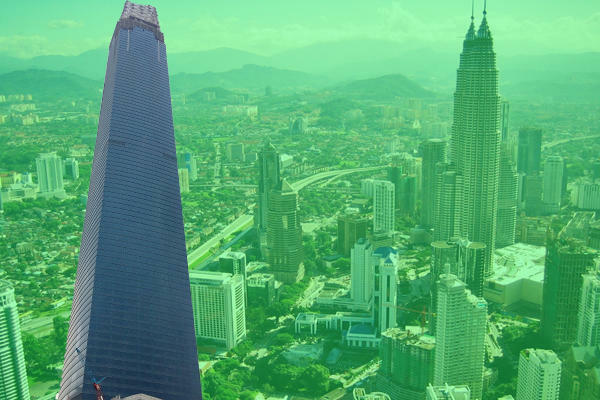 The tower, Exchange 106, in Kuala Lumpur is nearly finished so the government is footing the remaining bill in order to complete the project. “We cannot bear to see the eyesore of a massive abandoned project in the heart of Kuala Lumpur,” said the country’s finance minister, Lim Guan Eng, to the Journal. The building’s future tenants include HSBC Holdings. The state fund that managed the financing of Exchange 106, among other projects, is called 1Malaysia Development Bhd. (1MDB). It was founded in 2009 by former Prime Minister Najib Razak, against whom authorities are allegedly building a case. He denies any wrongdoing. Lim told the Journal they were also looking into the $600 million Goldman Sachs made from placing bonds worth about $6.5 billion for the fund.